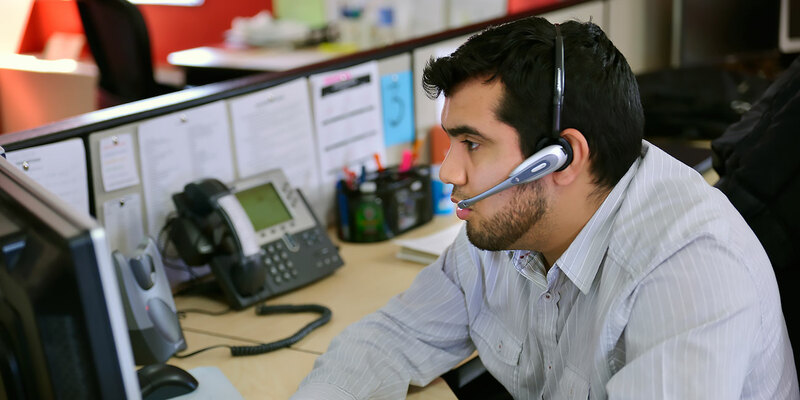 The College Call Center includes a director and seven full-time representatives -- one coordinator, two specialists and eight part-time representatives. The staff is a combination of current students and graduates of NOVA. The Call Center staff leads also function as the Call Center emergency response team and virtual agents. High performing reps are allowed the flexibility to work remotely during non-peak registration periods. This practice supports a work-life balance initiative which was implemented to help minimize the stress levels associated with call center work, specifically emotional labor. The emergency preparedness team consists of five team leads and the call center director. The plan addresses the possible disruptions like loss of access to Call Center facility (ex. fire, pandemic/health) and disruption in services due to equipment and/or system failure (ex. inclement weather). All new Call Center representatives go through an initial four-week training before they are allowed to answer inquiries by themselves. During this time a combination of classroom and hands-on training is provided. Team leads provide constant feedback and coaching. During the first two weeks the representative sits directly with a team lead to listen to live calls and observe proper phone etiquette, customer services skills, and learn how to navigate the NOVA website, Student Information System and other applications. During weeks three and four the new rep begins taking calls with a team lead sitting next him/her and coaching the individual along the way. This method allows for hands-on training without sacrificing quality. These trainings are provided by key personnel from Student Services, Central Financial Aid and other departments. Weekly and/or monthly meetings are held frequently to dispense new information to all reps to ensure up-to-date and quality service are being provided.